Home > Geneva,_IL,_USA > Vendors > Spare_Wheels_Transportation_Co._Inc. 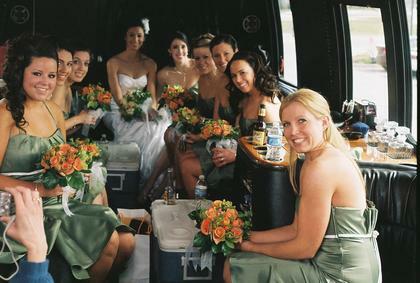 Spare Wheels Transportation can provide luxury transportation or the least expensive for your wedding and guests. 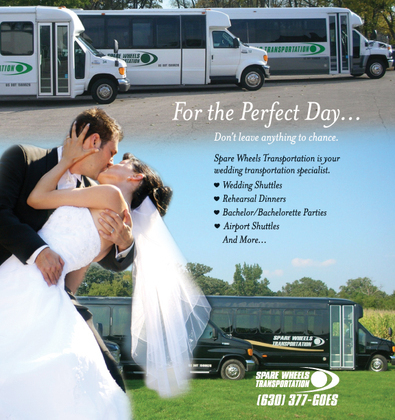 With our wide assortment of coach buses, limo bus, and vans. we can accomodate any type of budget. 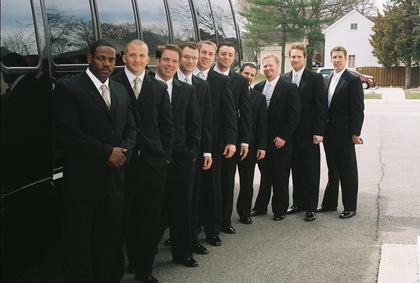 Let us get you and your guests to your event safely and professionally. 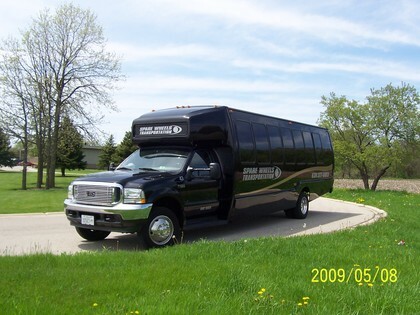 We also provide group transportation to O'Hare, Midway Airports and bachelor/bachelorette parties, sporting events, concerts, and more. 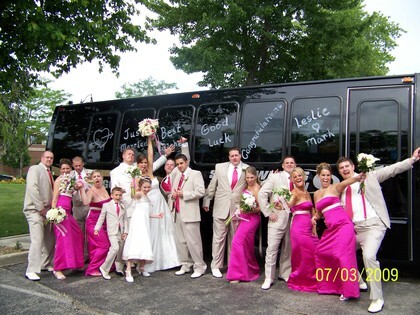 We rented a limo bus for our large wedding party (19 people including us!) and it was extremely comfortable and classy! The seating was around the outside so everyone faced each other and you could stand up if needed! much better and brighter than a regular limo. Prices are very reasonable and the staff/drivers are great! 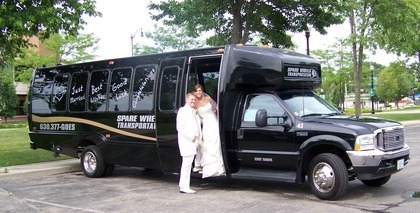 We also used them for shuttles from the hotel to the reception for our guests.